I was going to use a rainbow ink pad for the candle stick but it was dried out so I had to use the pink and purple ink pad which I put directly onto the paper. I drew the wick with a fine black marker and the flame is stickles. The celebrate stamp is from Hero Arts. Congrats on your new blog!! I love the name. 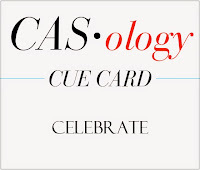 How fun you've decided to create CAS cards, like your mum. I can always use some inspiration creating my own CAS projects. I love your name for your blog Kate. So creative. I love the candles...so fun! Gorgeous colours for the candles Kate. Now I have two Percy-Robb's to get inspiration from! Great card. I love the candles. Your card is fun and funky :) The Stickles flames have a nice pop. Congratulations on your new blog. Looks like you are off to a great start. I can see you take after your talented Mom! Looking forward to seeing more of your ideas in the future. WOW! This is soooooo cool! Great colors! I love the effect of stamping the ink pad directly to the paper! The 'stickled' candles create a fun & festive look. Kate, you never cease to impress me! You have a blog AND a watermark for your card photos! (It took me YEARS to figure out how to do that!) I think you are wise not showing your "real" photo online -- a good choice as a young lady -- and who doesn't LOVE Perry the Platypus, right? My daughter (age 12) really wants a blog, too...now you and your lovely mother have me thinking about it. You'll have to let me know what you think of it after a while...I'll be curious to see if you like having one! 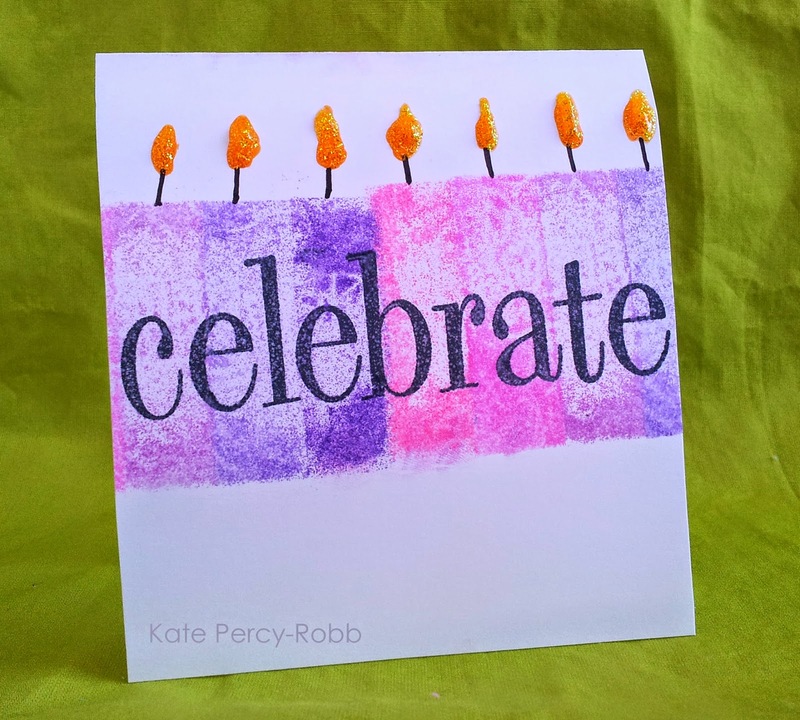 Your card is absolutely wonderful and I might have to CASE it...I have that same "celebrate" stamp and I think it is a brilliant one-layer design. The Stickles add some fun interest as flames, too! Well done, Kate! This rocks, Kate! I love the pink and purple candles with the sentiment layered over them. And those Stickles are awesome - they add the perfect touch of dimension and sparkle!